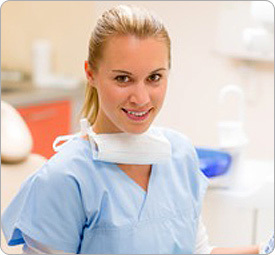 Visiting a hygienist regularly, plays a vital role in keeping your teeth and gums healthy, as well as giving you a fresh smelling and sparkling clean smile. While gum disease can cause significant damage to your gums and teeth, the good news is that with good oral healthcare routines, it can usually be slowed down and even stopped. The earlier you gain control the better as the bone supporting your teeth is precious – once lost it’s almost impossible to replace. Our hygienists are fully committed to helping our patients look after their teeth for life. They are highly trained in the very intricate skills required to professionally clean the plaque and tartar off your teeth and are always keen to share their knowledge. We will work with you to develop your own effective home care techniques to keep your mouth healthy and fresh.